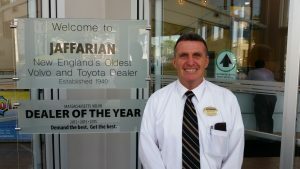 Jaffarian Volvo Toyota Scion, a full service, award-winning family owned dealership with a 4.9 out of 5.0 DealerRater.com ranking, today announced that Mark Witham has joined the dealership’s premier team of salespeople. 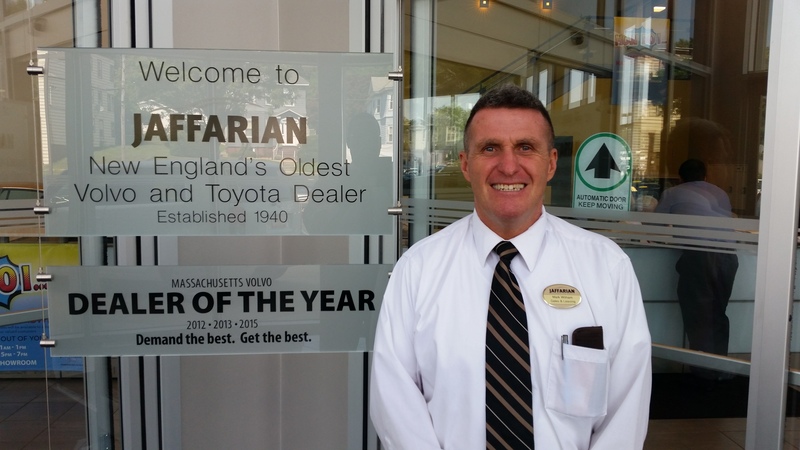 Witham, who grew up in Haverhill and recently moved back to the area after living in Florida for 25 years, is bringing his more than 30 years of experience in the automotive industry to Jaffarian. Over the course of his career, Witham has held a variety of sales, sales management and finance positions at dealerships both here in Massachusetts, as well as in Florida. Born in Haverhill, MA, Witham graduated Haverhill High School in 1973 and played on a number of local sports teams including the YMCA junior league football team. He is a former boxer who holds the New England Golden Glove Championship title from 1977. Witham is an avid Patriots and Red Sox fan and is thrilled to be back in the state to root on his favorite teams.